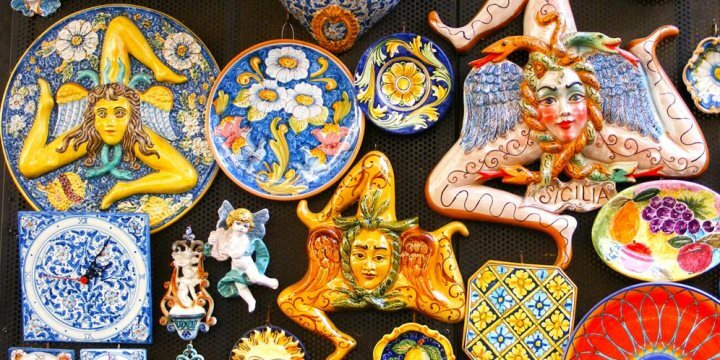 Sicily is an island whose history, cuisine, language even the people themselves, have been poured from a melting pot of a dozen cultures representing three continents. Their characters are said to be as varied and complex as their ancestry but one thing that the people of Sicily all have in common is the love of a good party with any excuse being found for a celebration, both religious and secular. A blend of Greek, Latin, Aragonese, Arabic, Lombardic and Norman-French, Sicilian can be said to be a language in its own right (rather than a dialect of Italian). It has always been an aural rather than written language and by the 17th century it was the language of the people rather than the nobility, the latter speaking a dialect of Italian. Following Italy’s unification in 1861, Italian became the official language but Sicilian lived on, despite the efforts of the national government to extinguish it. Today, Italian is the official language of Sicily however, when chatting amongst family and friends, Sicilian is still commonly used, readily reverting to Italian to include non-Sicilian speakers. While you will get by in the major towns and tourist resorts communicating in English, in the countryside you will find some knowledge of Italian or indeed Sicilian, very useful. Throughout the year the island plays host to numerous artistic, cultural and religious events. Sicilians love a celebration. Baptisms, first communions and especially weddings are big events and annual festivals such as Easter and Christmas are all celebrated with much gusto. Every town or village has a patron saint and commemorates their name day with parades, fireworks, eating and drinking. Many more annual festivities revolve around local food and harvests such as sausages in Caccamo or pistachios in Bronte. While other events are more unique including the Norman-Arab jousting tournament held in Piazza Armerina. See festivals & events for more details. Opera and classical music are also well represented in Sicily. 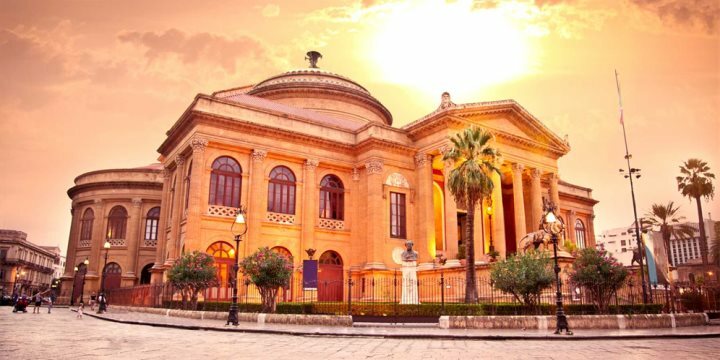 Palermo boasts the largest opera house in Italy, The Teatro Massimo. While the magnificent Taormina Greek Theatre, with Mount Etna as a backdrop, has an impressive summer schedule each year including concerts and operas featuring renowned international artists, as well as the star-studded, annual, Taormina Film Festival. Popular artists that have appeared here in recent years include James Blunt and Simple Minds. Art lovers should be sure to visit some of the many excellent art galleries dotted around the island with possibly the most noteworthy found in Palermo, namely Galleria Regionale della Sicilia, Galleria d’Arte Moderna and the new Museo Regionale d’Arte Moderna e Contemporanea della Sicilia.